Panic! At the Disco recruited brass and string sections for their cinematic performance of “High Hopes” on the MTV Video Music Awards. 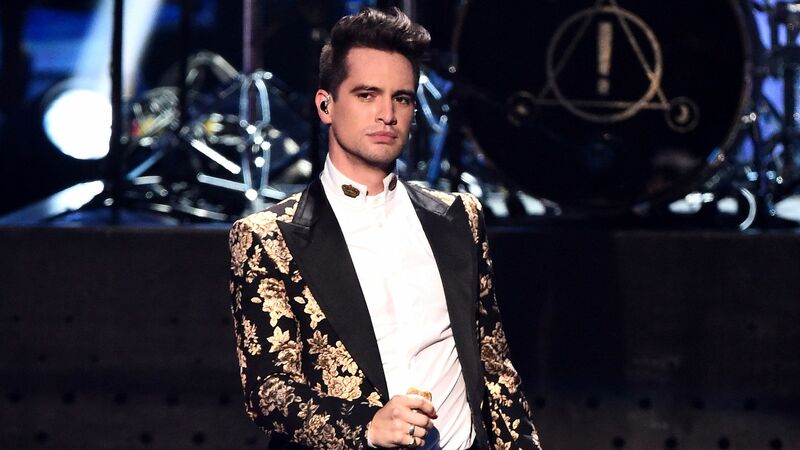 Frontman Brendon Urie, decked out in a sharp floral suit, opened the song on a rotating platform that slowly descended into the audience. “High Hopes” is the group’s latest single from Pray for the Wicked, their second LP in a row to debut at Number One on the Billboard 200. Urie is the last remaining original member of P!ATD and has been so for the last two albums. The last two albums have also been two of the band’s career best chart performances, with both Pray for the Wicked and 2016’s Death of a Bachelor being the only two P!ATD albums to hit Number One. Back at the 2006 MTV Video Music Awards, Panic! At the Disco won Video of the Year for their breakout hit “I Write Sins Not Tragedies,” beating out Madonna, Shakira, Christina Aguilera and Red Hot Chili Peppers. During their acceptance speech, a filmmaker named Sixx interrupted the surprised and nervous band during their acceptance speech to point out his frustration with MTV not giving him a show. The band’s last performance at the VMAs was in 2007.